Ronin Suiri Tentai or Deductive Reasoning Ronin as its known here in the West, is a zany piece of pop culture, a Japanese low-budget samurai show that turned into a cult hit for Australian audiences. Except that it never really existed. 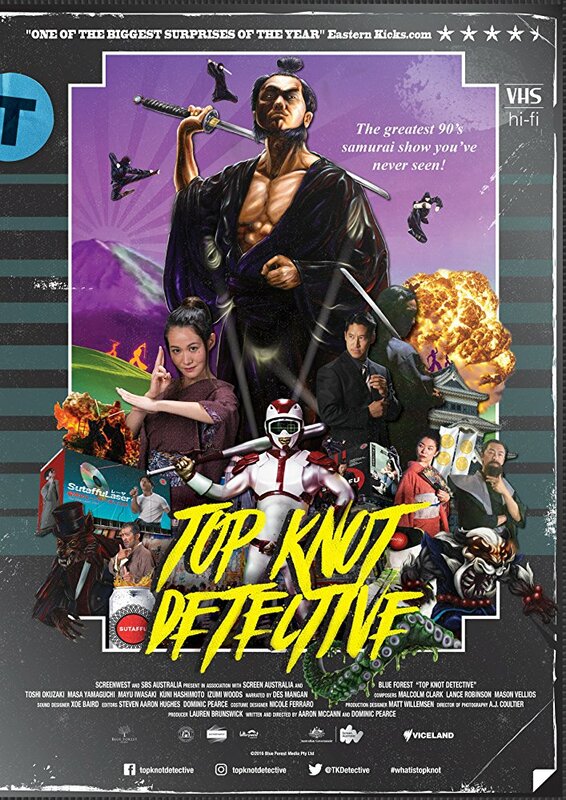 Top Knot Detective is a mockumentary about a fictional show and its equally fictional creator Takeshi Takamoto. It's extremely well done with actor interviews, "fans" reminiscing about the show, with clips from the fake show interspersed throughout. There are even cameos from real Japanese celebrities such as Guitar Wolf and Shonen Knife! If you are a fan of this very niche area of media, there is a lot to love as the directors captured the nuance of campy VHS-era shows perfectly. Ronin Suiri Tentai plays out like a mash-up of Lone Wolf and Cub, sentai shows, with a dash of surrealism. It reminded me of the fever dream ninja flick mash-ups of real life '80s auteur Godfrey Ho. 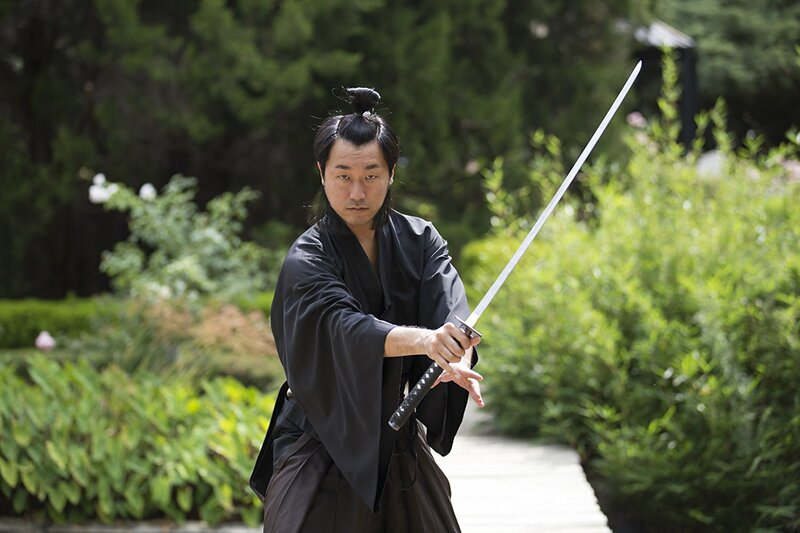 Surrounding the show is a compelling satire of those behind-the-scenes type expose shows as they explore Takeshi Takamoro's fictional relationships with his fellow actors and his fans. It lampoons artists, Hollywood and the public's obsession with consuming pop culture. The film shifts between different faux-formats effortlessly flitting between perfect pitch representations of wacky Japanese talk shows to interviews with cult film hipsters in front of their giant movie collections. If you aren't in on the joke it's easy to fall for the aesthetic. The drama that unfolds behind the scenes is oddly compelling too and it tackles some more serious issues like sexism and megalomania. 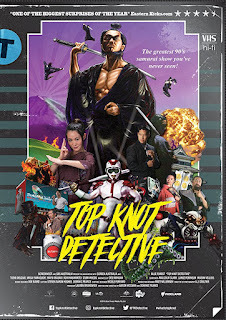 Top Knot Detective was initially a series of shorts but the directors decided to weave it together with a fantastic mockumentary that ties everything together. While this will only appeal to a select few people, those people will be immensely satisfied.